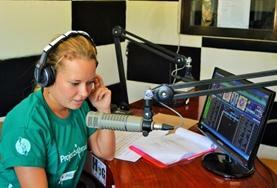 Projects Abroad offers interns the opportunity to gain practical Journalism experience in Southeast Asia. You can enhance your resume, as well as gain insight into how Journalism practices proceed in developing countries. Interns can get involved in a variety of tasks, including researching, writing, re-writing and proof reading articles, and conducting interviews. How Can I Intern as a Journalist in Southeast Asia? A Journalism internship in Southeast Asia is an excellent chance to improve your own practical skills and prove your adaptability in a different culture. Interns should have a strong interest in in journalism, media, and Southeast Asian current affairs, as well as good computer skills.